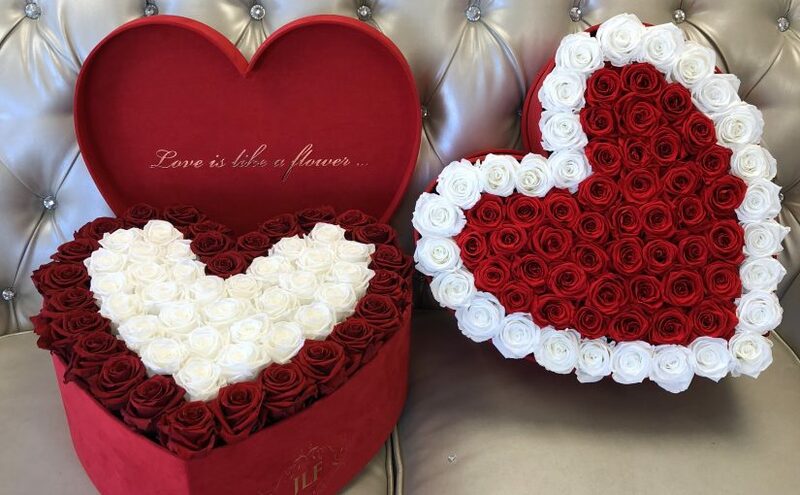 In anticipation of Valentine’s Day, J’Adore Les Fleurs (JLF) introduces new, Limited Edition “Je T’aime” Collection – the perfect Valentine’s Day gift for your loved ones. The red suede Heart-Shaped box holds up to 125 red roses and is available for purchase beginning January 16, 2018. What is the best way to tell someone, I cherish you this Valentine’s Day? You can give them a traditional dozen roses or you can give them the ultimate expression of your everlasting affection. 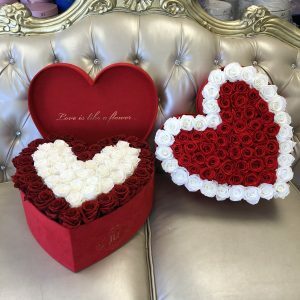 The New, Limited Edition Valentine’s Day Heart boxes from J’Adore Les Fleurs, filled with the most amazing flowers and presented to them the “J’Adore” way, will sure give your loved ones that Ultimate expression of your everlasting affection.